Provides errors and omissions coverage to a great variety of professionals, via endorsement to a basic claims-made, pay-on-behalf policy. A high-skill, high-service national surety broker specializing in surety bonds. Did you know the number of Americans owning their own home has dropped to its lowest levels since 1965? According to a recent Census Bureau report, the share of Americans who own their homes was 62.9 percent, down from 63.5 percent in the previous quarter. The growth in the number of people renting has outpaced the single home buyer. Since most rental leases and contracts mandate the renter insure their personal property and personal liability, why not allow Eagle Express and MetLife Auto and Home help you quote those client needs? A MetLife Auto and Home Renters policy can cover the renters, personal property, and personal liability whether they rent an apartment, townhome, condominium, cooperative or single family home. 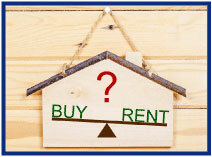 The rental location can be in an urban, suburban or small town area as long as it is occupied as the primary home. The program's minimum personal property coverage limit is $25,000. The basic MetLife renters policy covers personal property for 16 causes of loss, loss of use, personal liability and medical payments to others. In the case of a covered loss, MetLife pays the cost to repair or replace most items up to the actual cash value and subject to the policy limits, exclusions, deductible and conditions. Other broader coverage forms and additional coverage packages are available. MetLife Auto and Home offers specialty coverage packages such as Electronics, Musical Instruments, Recreational and Sport Equipment and Luxury items. You can choose up to $5000, $10,000 or $15,000 of coverage depending on the value of your items within these packages. In addition to broader coverage, the specialty packages come with a bonus coverage that provides protection if the items breakdown or stop working correctly. Each specialty coverage package has its own $100 deductible. 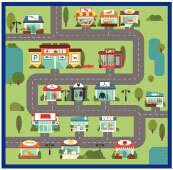 MetLife Auto and Home makes condominium and cooperative coverage available for primary owner occupied units. All coverage is subject to underwriting guidelines and review. Coverage for renters, condominiums and cooperatives is not available in the following states: Alaska, Florida, Georgia, Hawaii, Louisiana, Michigan, Oklahoma and the District of Columbia. MetLife Auto and Home is not a market for seasonal, rented to others or secondary rentals or condominiums. For more information or to request a quote, log in to www.bigimarkets.com and beneath the "Personal" tab, select Eagle Express: Auto & Home New Business. If you have any additional questions, email Jodie Bacote. Check out these upcoming free Big "I" Markets product webinars. Tuesday, May 30 @ 2:00 - 3:00pm EDT. "Chubb Recreational Marine". Please join us for the third presentation in our educational series on Tuesday, May 30th from 2:00 - 2:45p.m. Eastern with Jason Billingslea, the Business Development Manager for Recreational Marine in the Southwest. Jason will provide an overview of Chubb's boating appetite, coverage offerings and real-life claim scenarios. Come learn what makes Chubb so unique when writing these types of exposures and how you can market this line of business to your clients! Wednesday, June 7 @ 2:00 - 3:00pm EDT. "Chubb International Advantage - Foreign Package Policy Webinar". Placing appropriate coverage for foreign exposures can sometimes be challenging. Please join us and Brandon Boyd of Chubb Multinational Property and Casualty for a 45 minute webinar on how a comprehensive foreign package policy offers protection for businesses, employees, independent contractors, volunteers, students and more while traveling or doing business outside of the United States. Topics will include an overview of international insurance basics along with tips on identifying gaps left by domestic coverage for foreign exposures, ways to identify overseas risks by asking clients key questions, top classes of business that have overseas exposures and international claims scenarios that will help emphasize the importance of a foreign package policy. CNA Small Business currently offers a market for a broad variety of businesses, representing a majority of SICs with several examples contained below. Please note that not all classes may be available in all areas. CNA's broad portfolio enables it to respond to a wide range of business risks while focusing on the specialized needs of your insureds in small business, manufacturing, technology, healthcare, professional services, technology, retail, real estate, wholesalers and manufacturing financial institutions. Focus Classes have exceptional success across the country including higher hit rates, substantial inforce premium, large market availability and consistent exposure within class. CNA is available in all states except AK and HI. For more information, log into www.bigimarkets.com and click on Small Commercial Standard Markets or contact Big "I" Markets commercial underwriter Tom Spires at tom.spires@iiaba.net or (800) 221-7917 x5470. NEW - Tuesday, May 30 @ 2:00 - 3:00pm EDT. "Chubb Recreational Marine". Please join us for the third presentation in our educational series on Tuesday, May 30th from 2:00 - 2:45p.m. Eastern with Jason Billingslea, the Business Development Manager for Recreational Marine in the Southwest. Jason will provide an overview of Chubb's boating appetite, coverage offerings and real-life claim scenarios. Come learn what makes Chubb so unique when writing these types of exposures and how you can market this line of business to your clients! NEW - Wednesday, June 7 @ 2:00 - 3:00pm EDT. 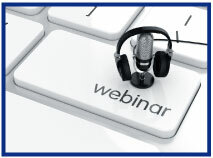 "Chubb International Advantage - Foreign Package Policy Webinar". Placing appropriate coverage for foreign exposures can sometimes be challenging. Please join us and Brandon Boyd of Chubb Multinational Property and Casualty for a 45 minute webinar on how a comprehensive foreign package policy offers protection for businesses, employees, independent contractors, volunteers, students and more while traveling or doing business outside of the United States. Topics will include an overview of international insurance basics along with tips on identifying gaps left by domestic coverage for foreign exposures, ways to identify overseas risks by asking clients key questions, top classes of business that have overseas exposures and international claims scenarios that will help emphasize the importance of a foreign package policy. NEW - Wednesday, June 14 - 1:00 - 3:00pm EDT. "Untangling the Work Comp Mess - When Employees Travel and Their Families Sue". When employees travel out of state for work, real work comp coverage gaps can exist; and these gaps could leave the employer without the necessary protection they THOUGHT they purchased when they paid their work comp premiums. Extraterritoriality and reciprocity are major work comp problems most agents don't know they have. Yes, every state provides extraterritorial work comp protection, but not every state recognizes that coverage – so many insureds are unknowingly blindsided by uncovered or improperly covered claims. Some agents take Part II – Employers' Liability coverage for granted. They consider it just a "thrown in" coverage with no real benefit. But Employers' Liability protection fills major gaps between the work comp policy and the CGL. Without this important coverage, your insured could have a hefty out-of-pocket expense. Why employers' liability coverage is so extremely important. Recently we looked at the various ride-sharing websites for information on insurance. The review was prompted by some research we are doing with respect to a millennial-focused insurance product and questions over the consumer usage of ride-sharing services. Our question was, "What if you were a passenger in ride-sharing situation and there was a terrible accident, would your own UM/UIM protect you?" More to the point, does the idea that a passenger has no control over the insurance coverage in a ride-sharing situation frighten the typical millennial? Well, if the millennial has their own good quality auto insurance policy and sufficient limits, fear not and Uber on! Your coverage would apply if needed. While generalizations on scant details are always dangerous, the answer is basically ,"Yes, you have UM/UIM coverage in ride-share from your own policy." Uninsured and Underinsured Motorist is a "maximum" limit coverage (not stacking) but if the coverage in the situation was insufficient for injuries sustained, a person's own coverage should apply. As you can see below and if you combine that with the definition of an "Uninsured Motor Vehicle" most situations should be covered for no insurance, underinsurance or a "hit and run." 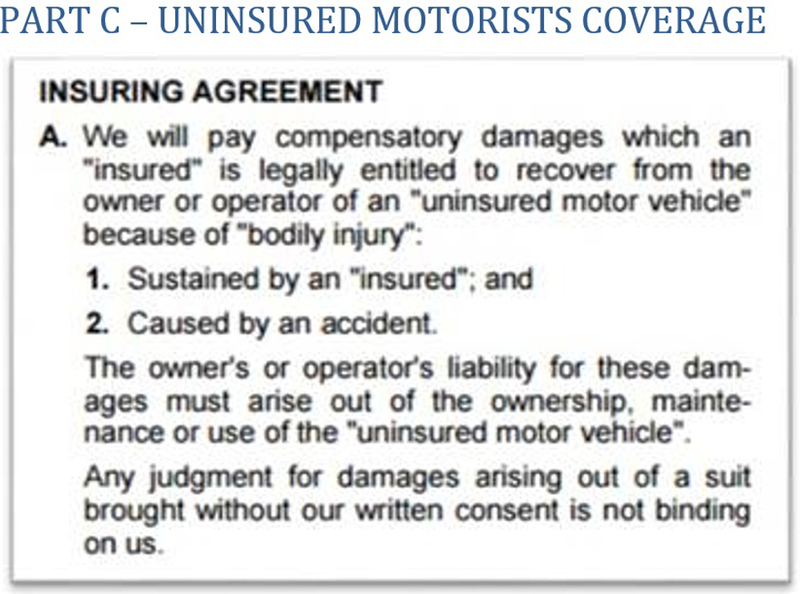 The UM/UIM definition of "Uninsured Motor Vehicle" includes a land motor vehicles licensed for use on public roads and not just "your covered auto." A Big "I" Markets Millennial Insurance Product? We noted several weeks ago we are investigating with our friends at RLI Insurance Company a new millennial-focused product for Big "I" Markets. The basis of our investigation is a non-owner automobile policy combined with a renters policy. We are focused on what else might be attractive to Generation X and Y ("millennials") as part of such a product. Indications IAs insure less than 25% of this group. What's the hook that would lure them to an independent agent? If you have ideas on what coverages - if added to a non-owner automobile and renters framework -- would be attractive to this generation, please email me at paul.buse@iiaba.net. Congratulations to our agent in Massachusetts on a Travel Insurance sale of $1,087 in premium!